If you have a high credit card balance, move it to a loan with a low, fixed rate. Credit card rates have remained around 13 percent, on average, for several years, but a Fed hike would raise those rates. To make matters worse for people with sizable credit card debt, those rates compound quite quickly on a revolving account like your credit card. One way to deal with your credit card debt is to move your balances from the cards you have now to a single high-limit card with a 0% introductory rate and pay it off in full before the introductory rate expires. However, using a credit card to pay off a credit card can be a dangerous strategy, because if you don’t pay off the principle by the end of the introductory period, whatever you have left will start charging interest again, and perhaps at a high rate (pay attention to the fine print). You also run the risk of falling back into bad habits and filling your new card up to its limit again. If you think you’re ready to move your credit card debt onto a single, low-interest card 4.9% fixed APR* for 12 months on balance transfers made between July 20 and September 30, 2015, try our CORE VISA credit card. You can apply online here: www.corecu.org. If you have more credit card debt than you feel comfortable paying off in the introductory period of another card, you might consider a home equity loan. Home equity loans have a low, fixed rate, so you can avoid an interest rate hike and save money in interest payments every month. While it might seem a little scary to borrow against your home equity, if you have accumulated significant credit card debt, your home might be the only source of wealth you can borrow against to cover it. The loan payments should be less than you’re paying your credit card companies every month, so you’ll find it much easier to make your payments and get out of debt. If you’re interested in using your home equity to get out of credit card debt, you can start the application process here: https://core.nssecurebanking.org/loans/login or find out more by calling our home equity specialists here: 912-764-9846. If you were planning on buying a house (or refinancing) soon, it’s time to make your move. 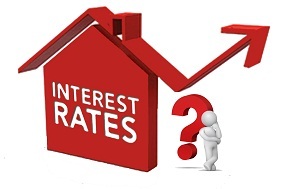 Fixed-rate mortgages will be unaffected by any interest rate hikes the Fed might employ, so if you think a rate hike is coming, get your mortgage now. The difference of a few percentage points in the federal rate could mean mortgage payments increasing by as much as hundreds of dollars per month for some homeowners. Avoiding that fee is as simple as getting the paperwork for a new home loan finished before a rate hike occurs. If you’re investing, it’s time to look at conservative options. As long as the Fed kept interest rates low, it was a good idea to invest more heavily in stocks than investment products offered by financial institutions. Low rates meant easy loans to businesses and expansion was easy, so it was driving up stock prices. As rates go up, credit markets slow down, and expansion becomes less profitable for all those corporations in which you own shares. At the same time, as the prime interest rate goes up, so does the return you’ll enjoy on your Interest Plus Checking and Certificate of Deposit (CDs). Find out what we can do to put your money to work by checking out our financial products here: www.corecu.org, and if you’re trying to get some money put together for college or retirement, don’t forget about our 529 and IRA accounts. No one knows for sure what Janet Yellen is going to do. Predicting the Fed’s rates is a big-money business for a lot of powerful institutions. In the end, you’re going to have to decide if you want to leave your money in places where a rate hike could increase your costs, or put it into more stable products. If you aren’t sure what to do and want guidance, feel free to call or come by, we’d love to help you understand your options. *APR - Annual Percentage Rate. Promotional rate applies to transferred balances only. Terms and restrictions may apply. All credit cards are subject to credit approval.